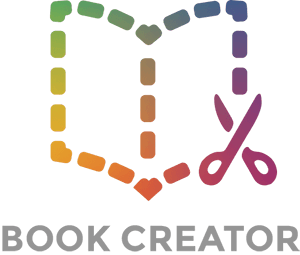 In October 2013 we introduced a pen tool to Book Creator. You can use the pen tool to draw, write, trace pictures or annotate books. In your book, tap + and choose the pen tool to get started. When you start drawing, you basically open up a canvas that appears on top of your book. The drawing you create will be saved as an image once you're done. 3. Use your finger to draw! Here's one I prepared earlier... I'll let you into a secret, I traced this one. Because the drawing feature overlays onto your page, you can still see any elements already on the page. Use the Eraser to rub out anything mistakes you make, or just tap Undo to remove the last stroke (you can press this multiple times). Tap Done when you're finished and you'll see the picture appears as an image on your page, which can be resized just like any other image in Book Creator. Tap on the image and tap the inspector and you can move the image backwards and forwards through the layers on the page (useful if you want the drawing to appear behind some text, for example). Note: you can't edit the drawing once it's finished. You can add to it by drawing over it using a new drawing and positioning it in front of the old drawing. A useful way to use the pen tool would be to annotate work, or perhaps teachers could use it as a way of marking work done by students. Below you can see I have annotated the Getting Started tutorial book included in the app.